Prepare yourselves, because here at H&C we are going to tell you to break the one rule your parents taught you … don’t judge a book by it’s cover. Instead, we challenge you to go against everything you know and do exactly that - judge that book’s cover and judge it hard (in the name of design of course). In a world where we display our wine, exhibit our mediocre collections of shoes and show off how healthy we are with glass-fronted fridges; why not display our books? After all, they do share a glimpse into our interests, personality and even psyche. judge the book, judge the cover. Whether they are lined up vertically, stacked horizontally, or are a combination of skillfully and loosely arranged in piles; gone are the days where it was a prerequisite to have a designated ‘library’ space. 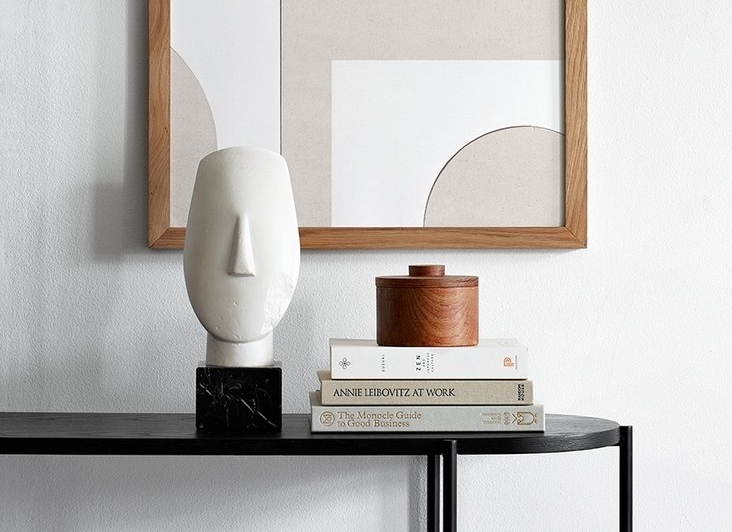 Today books act as an artistic statement, utilised as a centrepiece, an engaging focal point, a pedestal for homewares or to simply accessorise a surface. Consider the spine, the font of the title, the colour of the cover. Does this compliment or contrast your interior scheme? Is it a hardcover, a paperback, is it large or small? These considerations act to assist in adding individuality and inject character into a space. But is it ok to purchase random books to simply fill an empty space? Personally, I purchase titles that have meaning to me. Whether it’s a destination I have travelled to or my favourite designer or artist; my collection is a combination of my interests and the appeal of the cover art. Whatever the case, they definitely serve as an exceptional conversation starter. The only rule is that there are no rules. You don’t need to stack according to colour, genre, title or author; after all this isn’t the city library (unless you want it to be). There are no library cards, no late fees, and best of all - no need to keep your voice down. How many books are too many books? The answer is entirely up to the individual. Whenever I question whether it’s worth spending a weeks salary on another title by Assouline or Rizzoli, I think back to Karl Lagerfeld’s Atelier in Paris - the limit does not exist. What is your go-to coffee table book - let us know below.